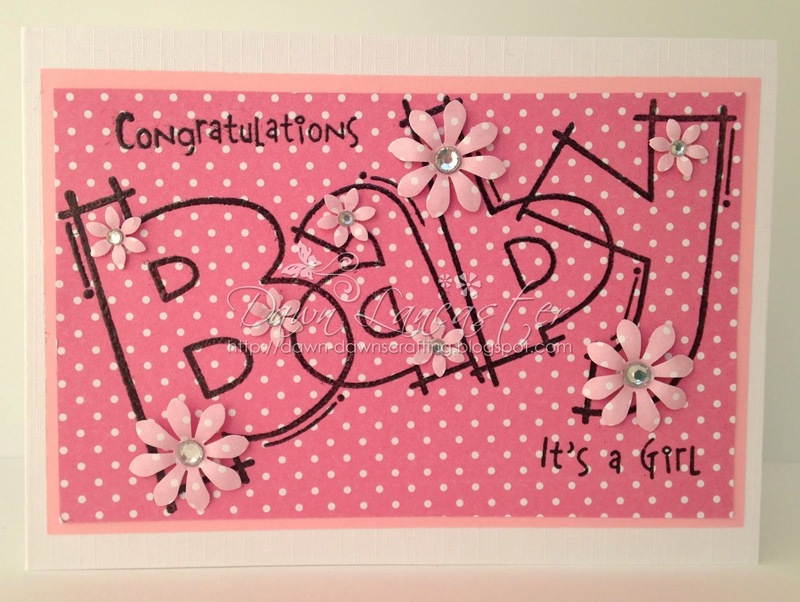 A quick post fom me today, sharing a couple of baby cards! I used a Woodware stamp for both! After stamping, I embossed them with clear embossing powder. I had it left over from another project. Buttons are from my stash! Dottie Card from Anna Marie Designs. These are gorgeous and I love the beautiful papers and embellishments. I love these Dawn, so cute! And creative! 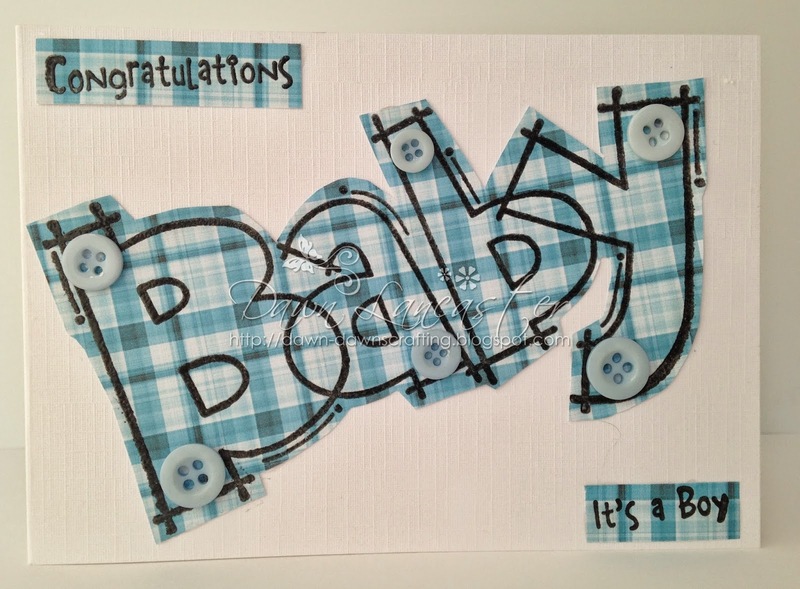 Two fabulous baby cards Dawn, I love these Woodware Huge stamps. Adorable cards Dawn! Really like the papers you used! Oh, I love both of these so much, Dawn! Great idea to stamp right onto the design paper. Really love the blue plaid and how you cut it out. Fabulous!